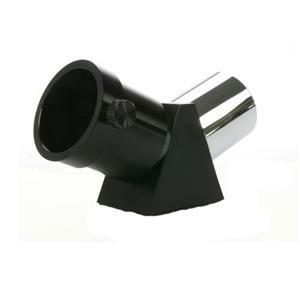 The Danubia 45 Degree Erecting Prism has been designed for use on eyepieces with astronomical telescopes, as it reverses the standard telescope image for easier viewing. The majority of telescopes give an upside down image as standard, so it can be a little confusing when locating stars and planets. Once the erecting prism is used, everything become a bit more comprehensible and it is angled for added comfort.